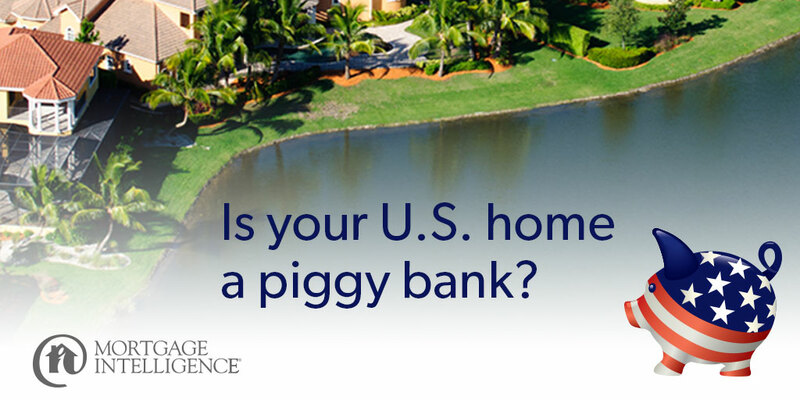 Love that low loonie: is your U.S. home a piggy bank? There’s a silver lining to the low loonie if you happen to own a home south of the border. A few years ago, a wave of Canadians took advantage of a strong loonie and low U.S. home prices – and picked up some American real estate. Those homes are as good as a piggy bank now. Why? If you refinance your U.S. home, you can bring those U.S. dollars back to Canada at the current exchange rate. That powerful U.S. dollar is your financial friend, and we don’t know how long it will last. You could use the money to pay off any debts in Canada – or even use the proceeds to purchase another Canadian property. The goal is to get those U.S. dollars back over the border to Canada. By the way, selling the home triggers capital gains. Refinancing does not. 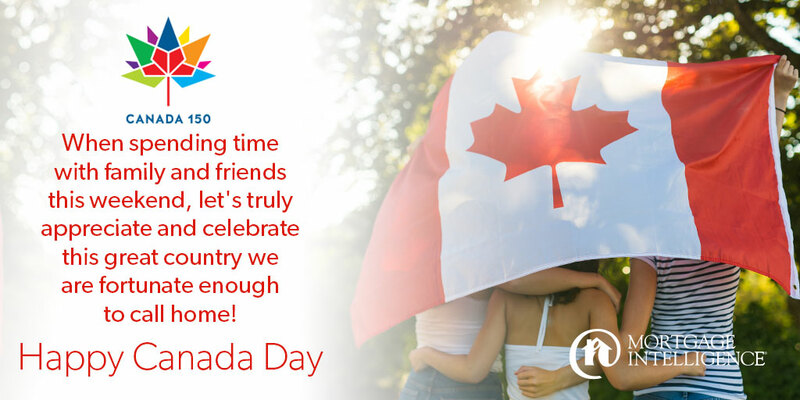 Any income you generate by exchanging your dollars doesn’t count as capital gains, so you don’t pay tax when you exchange your US dollars for Canadian dollars. You also get to keep your vacation property. Many Canadian owners of U.S. homes rent out the property when they’re not using it – giving them rental income to maintain the home and pay down the mortgage. Most property values have rebounded well from their lows; so many owners are also taking advantage of the growth in their U.S. home equity. A U.S. bank will typically lend 60% of the appraised value of a property. If you own a home in the U.S., let’s chat. Contact us at 1 866 452-1100. We have an excellent relationship with a U.S. lender that is licensed in Florida and California. You may be able to give your wealth-building a boost! Categories: Homeownership, Investment Mortgages, money, Mortgage Brokers, Refinancing Mortgages, Your Home, Your Money | Tags: homeownership, Refinances, refinancing | Permalink. Many homebuyers looking at older properties find themselves in a common predicament: they’ve found a property that suits them, but it needs some costly and immediate upgrades. Good news. We’re got a mortgage that will keep you financially afloat! A “Purchase Plus Improvements” mortgage adds the cost of those immediate renovations into your mortgage, so you don’t have to rack up credit card bills or sell investments to pay for the upgrades. This mortgage will cover the sale price of the home, plus any renovations that would increase the value of the property, up to $40,000. This way you can spread your payments over the life of the mortgage and have a cost-effective way to get into your dream home. You can then use your pre-payment privileges to pay the renovation off faster. Obtain cost estimates for the upgrades. An appraisal with two separate values will be required: first the value of the property “as is” and the estimated value of the property once the improvements are completed. Your lender will add the estimated costs of the renovation into your mortgage. The committed amount of the mortgage will be advanced to your solicitor, who will be instructed to hold back the renovation funds until the work has been completed and inspected. Complete your upgrades; funds are released upon completion. There are options we can discuss for carrying your expenditures until the funds can be released. 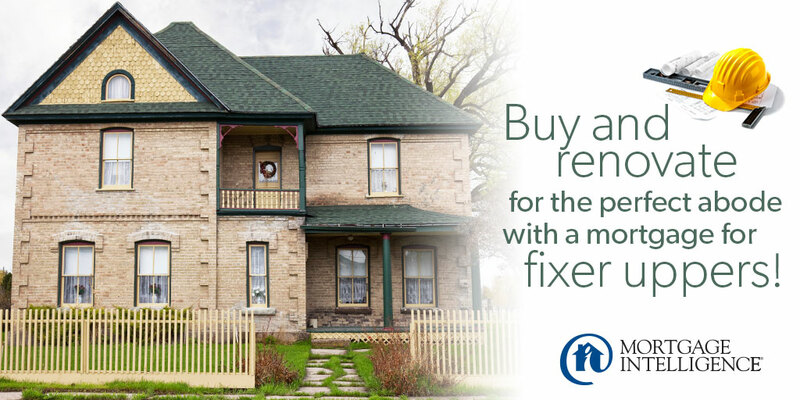 So if you find a home with “great bones” that can be renovated into the home of your dreams, get in touch with the experts at MiMortgage.ca early. We’re here to make sure your homebuying journey has a happy ending. Categories: Homeownership, money, Mortgage Brokers, Mortgage Rates, Refinancing Mortgages, Your Home, Your Money | Tags: Fixer upper homes, home ownership, home renovations, homebuying, purchase improvements | Permalink.